They say that a picture is worth a thousand words, so an animated one must be worth even more. Nowadays, email marketers are pushing the boundaries of email design, by using animated GIFs to display their products and services in action. 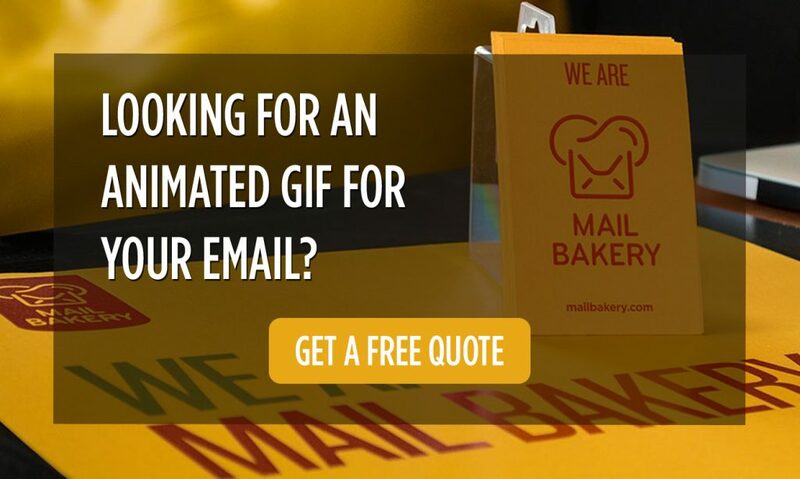 Here is a collection of 25 wonderful examples of animated GIFs in email marketing templates that are very creative, colorful and engaging. Modcloth’s email template uses animation to focus the subscriber’s attention on their product. It illustrates how the same clothes can be combined to form a couple of nice and trendy outfits, which in turn is helpful for the customer. This cute gif definitely suits the title of ShoeMint’s email marketing template – “C’mon, Get Happy!”. You just can’t help but smile when you see the colorful socks swaying in a carefree manner. The concept of Sambag’s email marketing template is simple, clean and stylish. It shows examples of how one dress can be worn in five different ways, but the application of a ‘faded’ effect highlighting one example in each of the animated GIF’s five frames is very effective. Kate Spade’s newsletter introduced their new “Joanie” handbag collection with this fun gif. It shows all the color variations in which you can buy the bag with a bright and colorful font, which changes according to the model. Bed Bath & Beyond managed to promote their Ziploc Space Bag in a truly unique way. According to them, these bags are “dorm space savers that easily roll up and out to make room for more” and they used an animated GIF to demonstrate exactly how it rolls up and out. What better way to demonstrate how easy it is to remove Bonobos’s tearaway trousers than with an animated GIF? Seeing this email in your inbox would certainly catch your eye. American Apparel sells T-shirts that have been “power washed” to make them “super soft”. This key benefit would not attract much attention if it wasn’t for the animated GIF simulating the T-shirts being washed in an imaginary washing machine. Amazon’s Black Friday email campaign kicked off with this very effective animated gif that shows a fireplace that is burning on all kinds of devices. This GIF was included in an email sent out as part of Jack Spade’s Fall Campaign. This is another example of showcasing the brand’s products in an effective and eye catching way with the help of an animated GIF in email. Women’s clothing shop Ann Taylor LOFT used an animated present to create a sense of intrigue and get subscribers to click through to “unwrap” their gift. Simple, but very effective. Sprout Social used an animated GIF in a very clever way to show off all the newest functions and interactions of their redesigned iPhone app. The major motion picture Looper introduced us to the world’s first “official” GIF movie poster when the film premiered. The clock gif inside of the first O is very creative and the animated dust effect suggests that both characters are fading away due to the events that happen in the movie. This animated GIF works not just for a Happy New Year email—or for a birthday / anniversary email, for that matter—but in a message sent to customers who’ve just reached the next level of your rewards program. It’s party time! Litmus also decided to use an animated gif in their email marketing campaign. It displays the two different views of their new product. Using a GIF in this instance is far more effective than simply linking to a video of the new product, as it will automatically animate once images are displayed in the email. In this email, Banana Republic are offering a mystery gift of between $15 and $500 saving at the checkout. To illustrate various different size of gift they have produced this eye-catching animated GIF. Anthropologie used an animated gif of an octopus in email marketing campaign. What’s interesting about this, is that the octopus is entirely made out of paper and its tentacles are flapping around in a happy manner. This gif is very fun and definitely memorable. West Elm offers modern furniture and various home decorations. In this email newsletter they are presenting a selection of lamps and what better way to showcase them than a gif of them turning on at the same time. J. Jill’s Winter Sale newsletter is another example of creative animated gif use. It shows a sweeping effect that also changes the color of the background and font with a very Christmas look and feel. Boden Bright’s animated gif perfectly showcases the different color variations of their clothes. It’s colorful, vibrant and fun and the perfect way to advertise their spring/summer line. Yet another animated gif showing off a clothing line. Only this time, the images of the women wearing said clothing line, change according to the name of the product in the list on the right. You can also see the price for each item. Chanel’s Triple Row Watch is presented in a very creative way using an animated gif. The chain of the watch slowly shows up piece by piece and constructs itself until we see the actual finished product. Here’s a very good marketing idea mixed with the use of an animated GIF. It clearly illustrates that the clock is ticking on this offer for 25% off everything. The gif, along with the big bold “ENDS MIDNIGHT” text really gives off a sense of urgency and prompts the subscriber to click on the button quickly . Rent the Runway used a pretty cool greeting for their Valentine’s Day Countdown. A bunch of sequins are gathered together to form a golden heart and that’s when the greeting text appears, along with a call to action button. Neiman Marcus used a very nice typography animated gif in their advertisement that spells out the main title in an elegant font. After that their signature cute little black butterflies appear and flutter away. It’s clean, simple and very chic. So as it turns out, adding an element of motion inside typically static emails is not only more engaging for the subscribers, but it also allows the marketers to get creative with their content offering. However, it should be noted that using animated gifs in email marketing is not suitable for all products and companies. The gif itself needs to have some idea behind it that is associated with the product. This in turn will intrigue the subscribers and make them want to learn more about it.